A home automation system can involve switching off electrical appliances like air-conditioners or refrigerators when a desired temperature has been reached, then switching on again when the temperature has crossed a certain value. – embedded.com June 11, 2014. But this is hardly revolutionary. Air conditioners and refrigerators cycle up and down, turn off and on automatically and most have operated this way for decades. Why would you need a home automation system or remote control to provide a benefit that is already built into the product? In fact, what particular need is satisfied by a home automation system that purports to turn appliances on or off when you're miles away? Do you really want your oven to fire up and run for hours while you're at work, so the roast is ready when you pull into the garage? How are you with having uncooked meat sitting out and then cooking by itself with nobody to check it? In general, I think smart appliances do their best work when they give me information, not when I'm giving them information. LG has an expensive high-tech refrigerator with some features of questionable value. However, LG's Smart ThinQ refrigerator also lets the user run through the unit's diagnostics. Then it will help communicate any problems to tech support if necessary. Now, that could be useful. Whirlpool has a line of products dubbed 6th Sense Live that take advantage of smartphones to communicate useful information from the appliance. Suppose you leave the refrigerator door open when you leave the house. With 6th Sense Live you'll get a notification. The 6th Sense Live washer and dryer can also notify you when your clothes are done, or take advantage of energy saving rates in smart-grid areas by helping you schedule wash and dry times during off-peak hours. 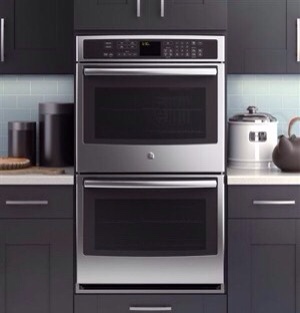 In addition, it appears at least some of Whirlpool's 6th Sense Live also have diagnostic capabilities built-in. 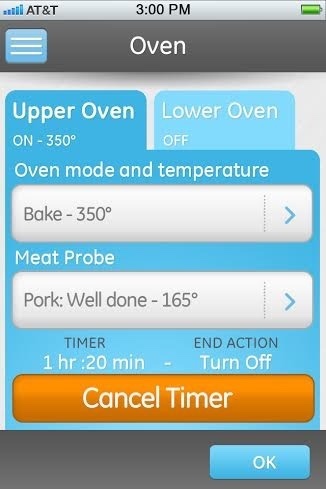 GE's new oven features their Brillion™ app that let's you remotely connect the oven to your smartphone. Wisely, the app can be set to work only when you're on wi-fi in your own home. That means you're not going to be able to operate your oven while you're still at the office. But if you're working in the garage and you want to pre-heat the oven, your smartphone will handle the job quite nicely. Maybe, it's not a game changer, but this app is designed to be useful and practical. Appliances are getting smarter. I like that users are now able to access built-in diagnostic features that have for years been exclusive to technicians. It will be interesting to see if appliances will benefit by being connected through apps and smartphones and tablets, or if perhaps appliances will be connected through whole house automation systems that control lighting, security, heating, air conditioning, and more. 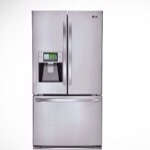 This entry was posted in Appliances, Products and tagged automation, Brillion, GE, home, LG, Whirlpool. Bookmark the permalink.